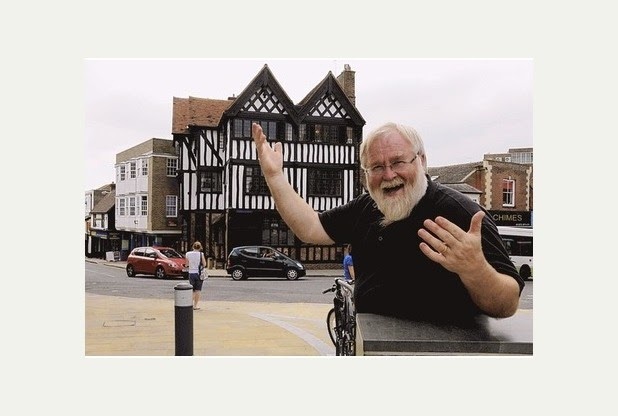 Peter Snell is the manager of Barton's Bookshop in Leatherhead, Surrey. Barton's is a proper independent with great books, cards, maps, knowledgeable staff, Henry the giant teddy, free coffee and a comfy sofa by the fire. of The Times at 4. Family meal times always featured the two volume Shorter OED on the dining table and my father spoke ten languages and our house was full of books. I had worked in insurance and for IBM, I did a history degree and retrained as a teacher, became very ill about 20 years ago and as part of my strategy to get my life up and running again started working half a day a week in a local bookshop. Two years later the manager became very ill herself and I took over. 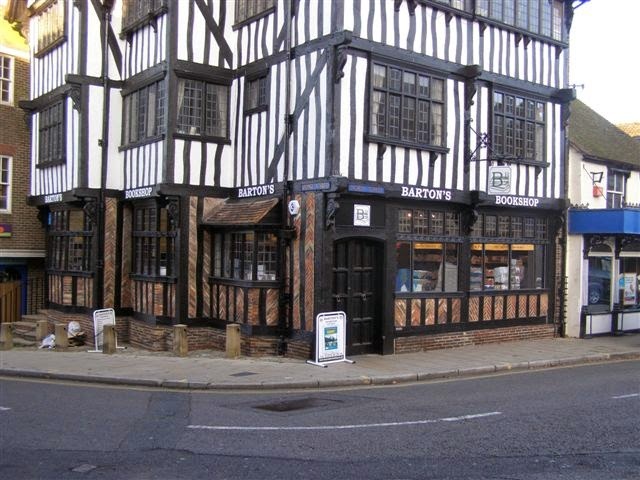 Six years ago my wife bought the business to keep me employed and so Barton's Bookshop was born. not a specialist in anything but I am a very good generalist and know enough about lots of different things to be able to understand what customers are looking for and find the right book for them. Bookshops are one of the first places I seek out in a new town or city. 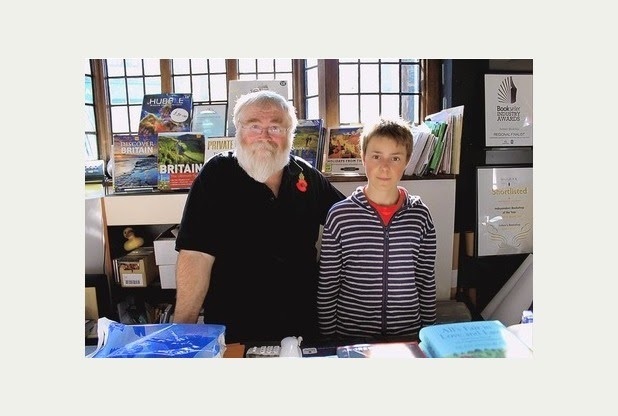 What makes a visit to a bookshop such a special experience? centres full of hidden gems and treasures. You never know what you are going to find, but rest assured you will always come away with a new friend in your hand. The media is wringing its hands over the demise of independent bookshops. Have rumours of the death of the bookseller been greatly exaggerated? scarcity is making them destination shops. I can't imagine the closure of all bookshops but I am sure that quite a lot more will fade away over the next decade. Reducing the numbers should make the remaining few that more precious. I talk to many customers who are turning away from online purchasing and deliberately seeking out proper bookshops because they want us still to be around when they need our advice or assistance in the years to come. I know many book lovers who use an eReader, but none who'd be prepared to give up physical books. Is it the smell, the feel or the beautiful covers which inspire loyalty? possible. There are those who love to show off their books on shelves and see them as friends. Whenever I visit a stately home, NT property or even new friends I can't help looking at their bookshelves to help me gain some deeper understanding of their lives or of the people who used to live there. I love the look and feel of a book. A finely crafted tome of the right size and weight is a thing of joy and, until you open the cover, full of so much possibility. Books are exciting and yes they do smell good too. The physical accessibility of a book and being able to hold several pages open at one time is rewarding and difficult to replicate. What makes Barton's such a success, in your view? My intention all along has been to create the sort of shop I would like to buy books from and serve customers in the way I would like to be served. If this has worked and is a success in your eyes then it must be that there are enough people around who think like me to make it work. I have deliberately developed relationships with authors in recent years and hope that this is enabling me to bring exciting new talents to my customers and that they appreciate this added aspect to our service. You're a great supporter of indie, or self-published authors. Why do you embrace those many regard as 'the great unwashed'? I see no point in trying to compete with supermarkets and chain stores who often sell popular and best-seller titles at less than my wholesaler's prices. It falls on me then to discover the hidden gems, treasures and unknown authors whose books I can hand-sell to a discerning audience of readers. I read as many proofs and author submissions as I can to find books to recommend. Some of the best books I have read are by indie authors and so are some of the worst. However, the same holds true for traditionally published books. Indie authors may well not fit snugly into publisher's categories and genres but this is not a reason to keep them off the shelves. They have something to say and tales to tell and I hope that I can help in some small way to "Spread The Words". Which book has impressed you most this year? That is probably the easiest question you have posed me. "Dead Ends" by Erin Lange is probably the best YA novel I have read in five, possibly ten years. Actually it isn't that easy a question because I have two other novels to nominate. The first is "An Unchoreographed Life" by Jane Davis and the second is "Lifeform Three" by Roz Morris. I could give you reviews but why not go to my website www.bartonsbookshop.co.uk and have a look at the comments there. Nice easy one to finish with - how do you see the future of the publishing industry? I do not foresee the death of the printed book but I think that there will be more authors' publishing cooperatives and artisan publishers appearing to cater for special books for special people. Perhaps something like the old Arts and Crafts Movement for literature. At the same time I fear that the larger publishing houses will merge even more and this will mean the rise of large and more conservative concerns at one end of the spectrum, which will leave room for smaller and more adventurous niche publishers as outlined above. I totally agree, there is something very special about independent bookshops, printed books, and indie/ self-published books. All are special and unique in a way that the mass chains, e-books and mass produced books cannot be. Long live difference! I love bookshops too - the big chains and the independents. It's lovely that Peter has such an open-minded attitude to indie publisher-authors. I've found it almost impossible to get independent bookshops to take my (self-published) books but Waterstones were happy to.